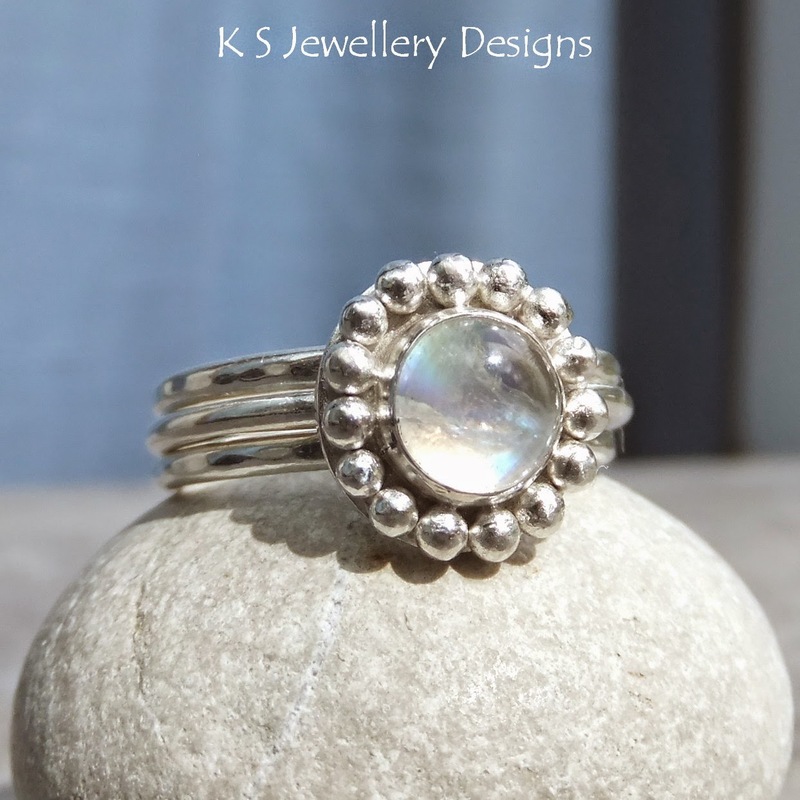 I have been working on a new flower design and co-ordinating rings by framing gemstones in little silver balls. This has certainly been a technique that I found needed practice but I think I'm getting there! My first couple of attempts were really frustrating, as when I placed the little silver balls (handmade from scraps of silver wire and sheet) around the bezel soldered onto a circle of silver sheet, I would get to a certain amount of balls and couldn't seem to place any more without others falling off. I felt a bit like a rubbish sheep herder whose sheep keep running around the place instead of in the pen! I also discovered that it is important not to have the balls too big or it's really difficult to set the stone... you can imagine at what point I found that out! Oh well, 'you live and learn' is my motto at the moment and I am loving this journey and can't expect to get everything right first time. I then discovered if I fluxed around the bezel before placing the balls, that the flux held the balls in place. Yay! The only downside to this is that when I heated up the bezel and balls, the flux bubbled and expanded and I spent quite a lot of time replacing and repositioning the balls. This final method has been the most reliable and, with some patience and careful handling of the heat of my torch, I have had success. 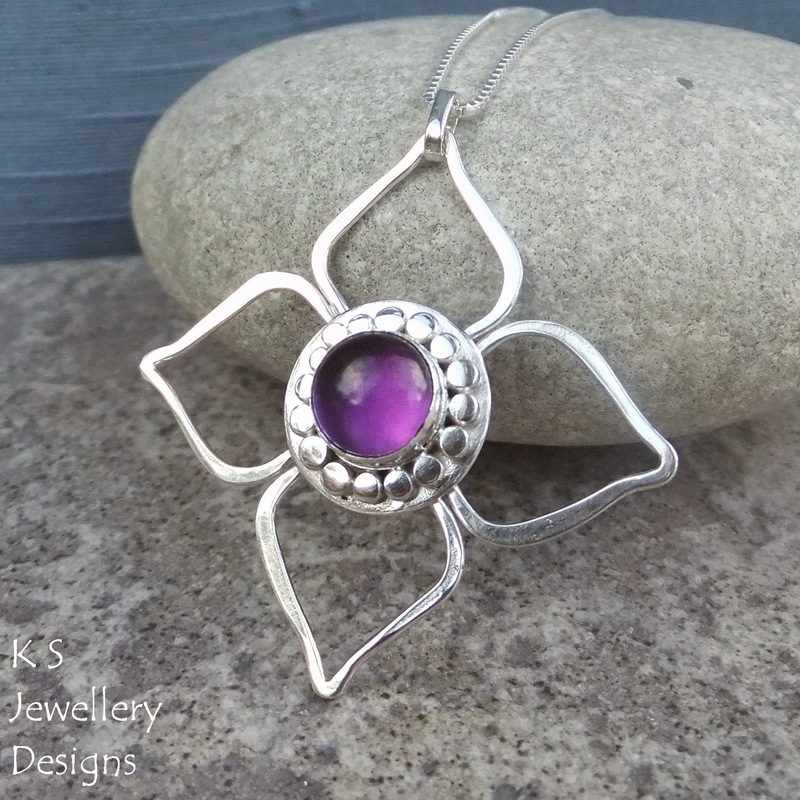 I have been pondering variations of this design and here is another Pebble Blossom pendant I made today where I filed and sanded down the little balls for a 'flattened' finish. I really like this effect. 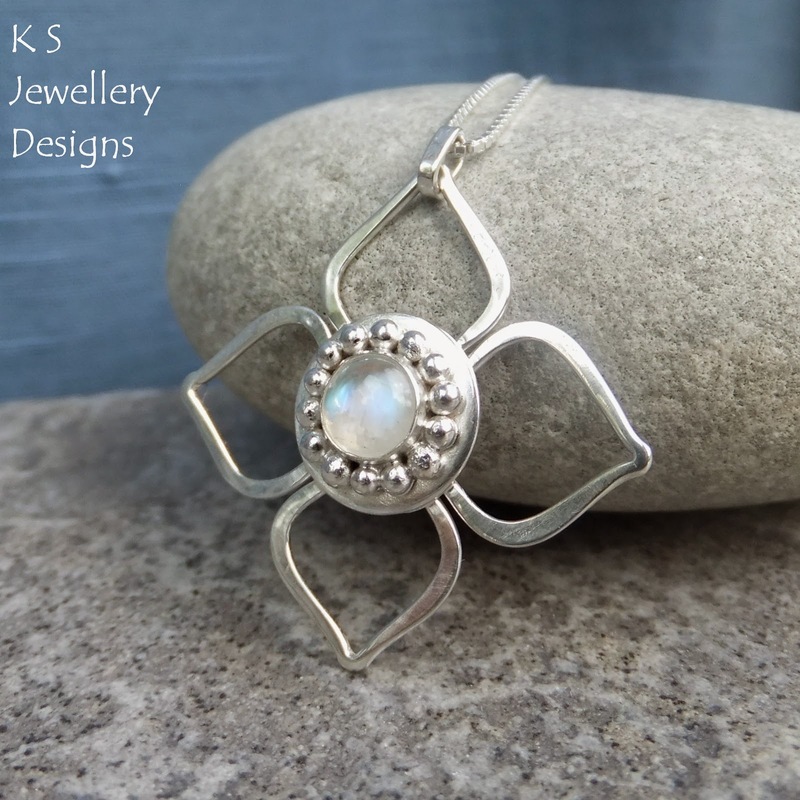 How to make the most amazing jewellery at home.